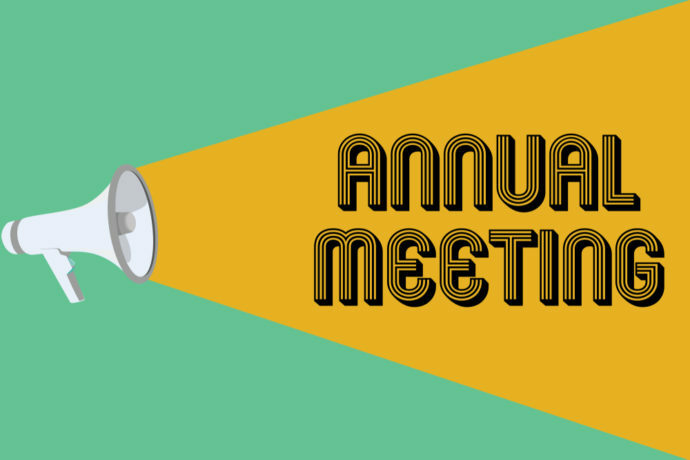 You hear about it every year but what do you actually know about our annual meeting and what are the reasons you should take time out of your schedule to attend? Why do we have an Annual Meeting? Holding an Annual Meeting is one of the distinguishing characteristics of credit unions compared to banks. Credit unions are not-for-profit institutions and our Annual Meeting is an opportunity for our owners (you) to converge, hear about the status and financial health of the credit union and vote on the Board of Directors. The BOD is made up of volunteer members that oversee and decide on important credit union decisions including policy and rate changes and senior management. What does the Annual Meeting consist of? You’ll receipt a copy of our annual report, hear brief overviews from our President, Treasurer and Board Chairman and get a breakdown of the previous year’s financials. We will discuss our successes and failures from last year and go over our plans for improving the credit union in the years to come and elect our new Board of Directors. Why should you attend our Annual Meeting? Our members are our owners. When you joined Eastex Credit Union (or any credit union for that matter), you became one of our owners. No matter the size of your account, each member has one equal vote. You see, that’s the really great thing about credit unions. We don’t have shareholders to keep happy with full pockets. Instead, each of our members holds one share of us and each share gets one vote in the decisions we make that affect the entire membership. Free food. If you still aren’t convinced you should be involved in the credit union decisions that affect you (and your money! ), at least come give it a shot and enjoy a meal on us. We might surprise you! You’ll also get to spend some time talking with other members, the President/CEO, members of the Board and our employees! The Annual Meeting is the only time of the year to spend an hour focused on bettering your financial institution. It’s what makes us different and what makes us a family instead of a bank. Plan to Join Us for the Eastex CU Annual Meeting!